Edgybees, an augmented reality technology company, launched a new augmented reality (AR) mobile application that is compatible with DJI drones, including the Phantom 3, the Phantom 4 and the Mavic Pro. Developed using DJI’s software development kit, the ‘Drone Prix’ is the first ever AR mobile app created for DJI’s aerial platforms. 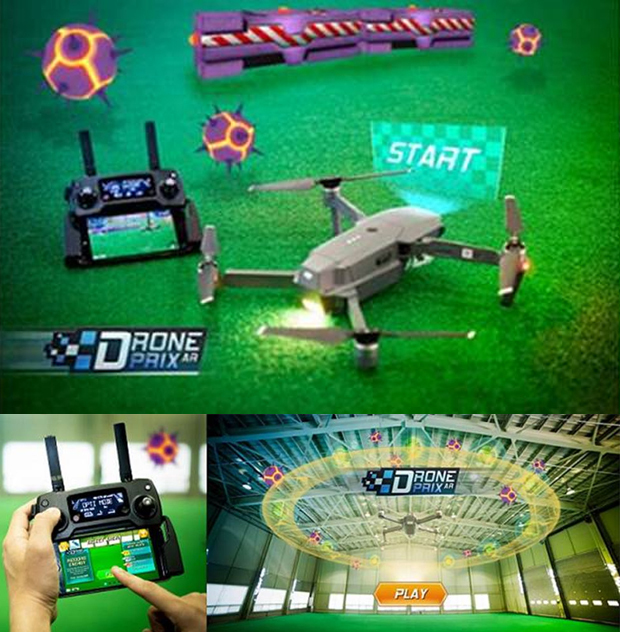 The game is centered on flying the drone through a virtual obstacle course while collecting prizes and avoiding obstacles along the way. Drone pilots can compete over the best performance, points and time for a place in the leaderboard with other drone pilots around the world.